Photo Credit: ACR Electronics, Inc.
An Emergency Position Indicating Radio Beacon, or EPIRB, is used to alert Search and Rescue forces in the event of an emergency. It does this by transmitting a coded message on the 406 MHz distress frequency via satellite and earth stations to the nearest Rescue Coordination Center, which then notifies local Search and Rescue assets. It may be activated automatically (Category I) or manually (Category II), or both (Category I). When the EPIRB transmits GPS coordinates, it can alert Search and Rescue assets of the boater’s position in as little as 2-3 minutes. An EPIRB is for one’s boat and registered to the vessel. It should be mounted in an area on the vessel free of overhead obstructions (Category I). It may also be carried in a ditch bag, which is a compact floating bag designed to hold items a boater may need in an emergency and easily accessible (Category II). 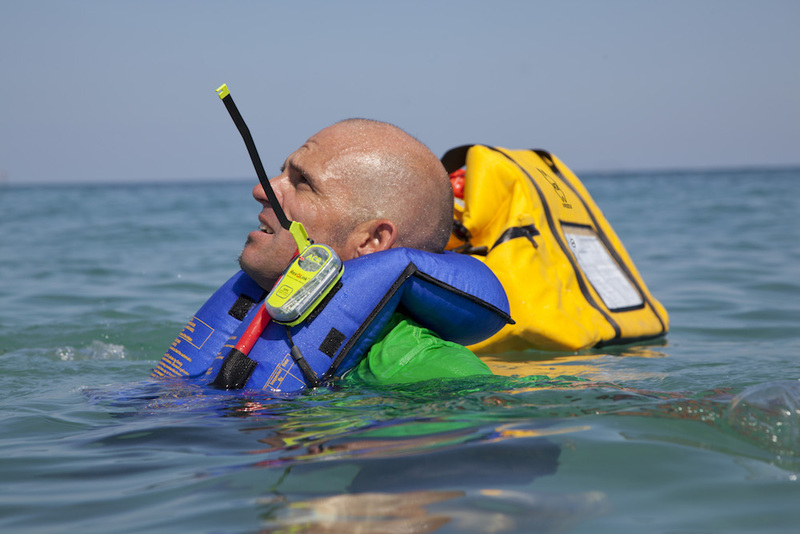 Because of their simplicity, it is easy to educate others on board about how an EPIRB works. They are specifically designed for a worst-case scenario of a boater and the beacon in the water, but may be manually activated if needed. A boater must register their EPIRB with the National Oceanic and Atmospheric Administration (NOAA) at beaconregistration.noaa.gov – it is very easy and only takes a few minutes. If any contact information changes (phone number, address, sold or bought a new boat), a boater must update the registration. If the unit is sold, the new owner must update the registration as well, or the old owner may be contacted by rescue authorities if it is activated. A Personal Locator Beacon, or PLB, works in the same way as an EPIRB by sending a coded message on the 406 MHz distress frequency via satellite and earth stations to the nearest Rescue Coordination Center, which then notifies local Search and Rescue assets. A PLB is registered to the person, not a vessel, and may be used on land as well as the water. A boater should purchase a PLB meant for the maritime environment. However, PLBs require a little more effort to operate, as they must be manually activated and may need to be held out of the water to function properly even though they are waterproof. PLBs are small enough for a boater to attach to one’s life jacket, a pocket or purse. 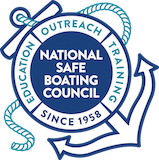 However, if a PLB is not attached to the life jacket, the boater may not have it when they need it the most. A boater must register their PLB with the National Oceanic and Atmospheric Administration (NOAA) at beaconregistration.noaa.gov – it is very easy and only takes a few minutes. If any contact information changes (phone number, address, marital status), a boater must update their registration.